—Kuae Kelch Mattox, National President, Mocha Moms, Inc. Spare the Kids includes a lot of scientific research on the long-term, negative effects of whuppings on children (i.e., early puberty, low IQ, aggressive behavior and delinquency, depression, drug and alcohol abuse, obesity, diabetes, and even cancer). How does this information influence your opinion and approach to child-rearing? Will the science ever outweigh the cultural tradition? The history of hitting black children links directly to American slavery and the practice of overseers beating slaves with a whip to get them to submit and obey orders. The whip evolved to the belt and later to household items like shoes, purse straps, hangers, and kitchen utensils. How does the origin story affect your outlook, if at all? Many people argue that there’s a difference between “spanking” and “abuse,” and they often call hitting by different names: “pop,” “whup,” “beat,” “spank,” etc. Does the language change how you view the action? Do you believe a child can make a distinction? If so, how? Spare the Kids centralizes the child as a victim of physical punishment inflicted by parents, guardians, and trusted caretakers. How does “centralizing the child” fit with your own ideas about the role of children in society? Are they to be seen and not heard? Do children have any right to their own physical bodies? If so, at what age? And if not, to whom and in what spaces do they relinquish these rights? If you were whupped as a child, what were your thoughts about your own experience while you read this book? In your estimation, is any type of physical discipline of a child ever appropriate? Is it okay to remove a child from his or her home because he or she was hit? 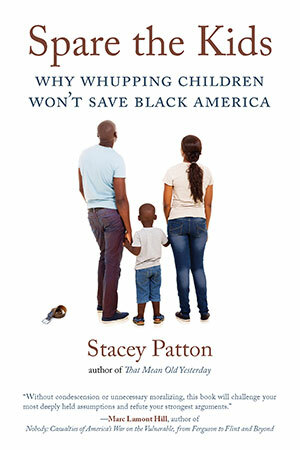 Do you agree that the black church has played a significant role in promoting corporal punishment in black families? Is that role positive or negative? Is that role changing? The overwhelming majority of Americans in prison received whuppings as children. How does that connect to the cultural mythology that whupping kids at home keeps them out of trouble? Did anything you read in Spare the Kids change your opinion about the value of whupping children? If so, what changed your mind? Did you strongly disagree with any parts of the book? If so, which parts? Social media outlets have become a common place to see videos and images of children being chastised by their parents for misbehaving. Could this kind of punishment be considered a form of cyber-bullying? Think about the most effective discipline you received from your parent as a child and the most effective discipline you’ve administered as a parent. How do they compare? What accounts for the differences, if any? What tactics might be a good alternative to physical punishment?